Author, Rhani D’Chae has always been an avid reader and began writing in her early teens. Her first ‘novel’ was a Star Trek adventure that she freely admits was a disaster, but she learned from it and never stopped writing. SHADOW OF THE DRILL is her first published novel, and is the first in a series that revolves around an unrepentant enforcer and the violent life that he leads. 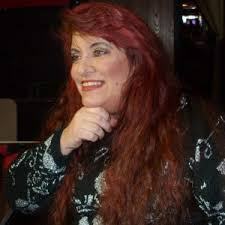 She enjoys chatting with readers and fellow writers via Social Networking sites, and loves getting comments and other input from those who have read her work. Ms D’Chae is currently working on WINTER OF THE DRILL and hopes to have it completed by late summer of 2015. Very nice blog Rhani…if you get a chance, take a look at mine…maybe we can swap guest posts.